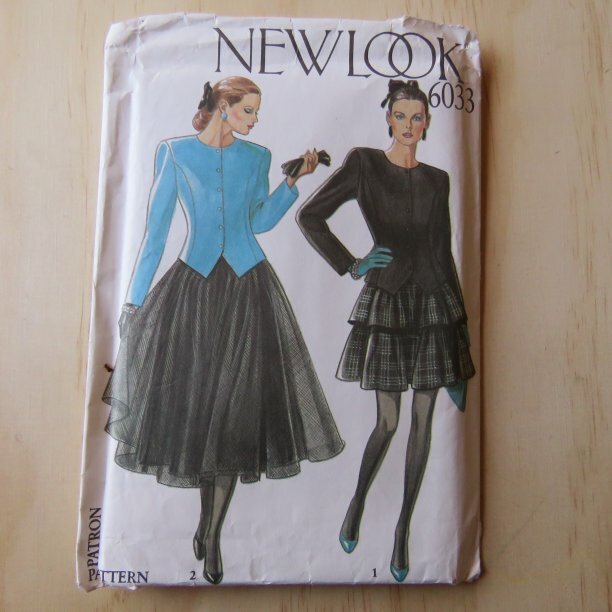 Last week I got a call from a man offering me his late wife’s sewing patterns. Her name was Carol. 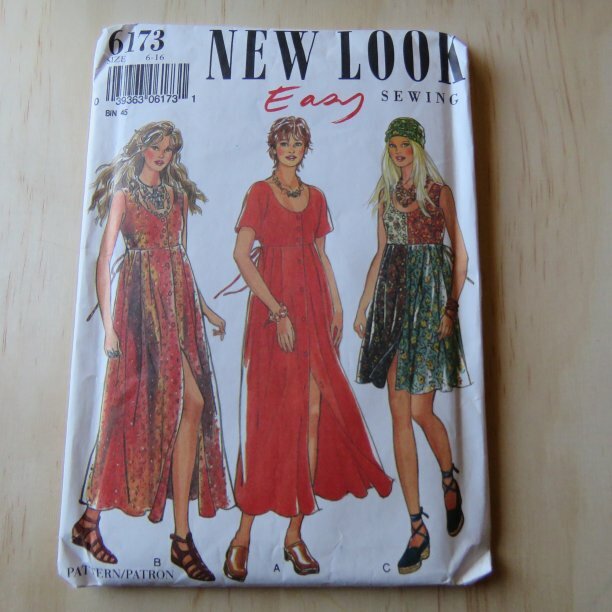 I took the patterns to my sewing class, but before the class I looked through them all. 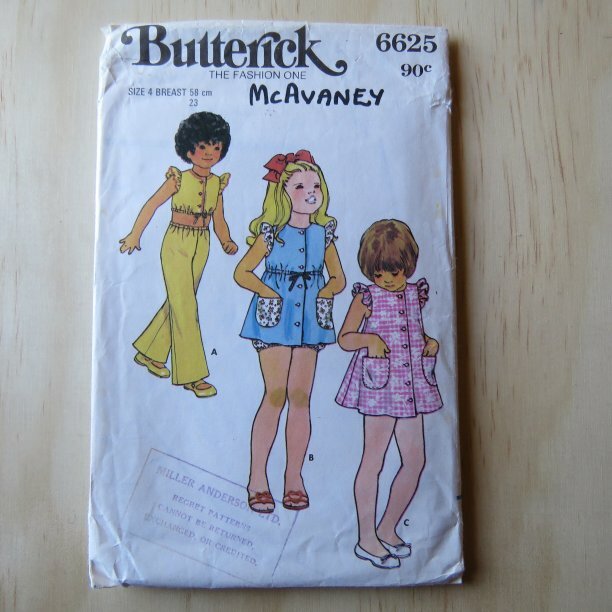 Moving into the 1970’s there are young children’s clothes and lots of young women’s outfits. 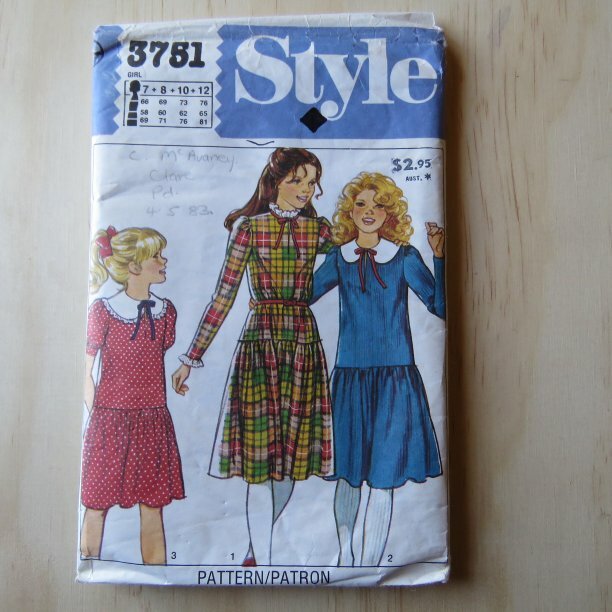 In the early 1980’s there are older girls outfits. Mid-1980’s. 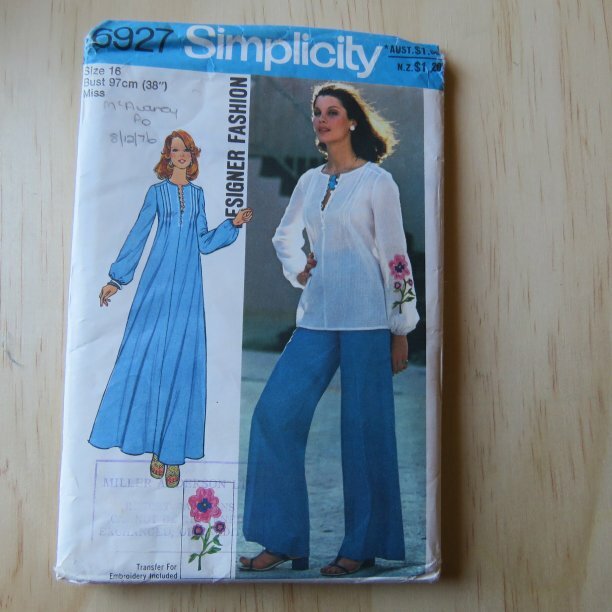 Carol is sewing less, or certainly less “everyday” clothes. 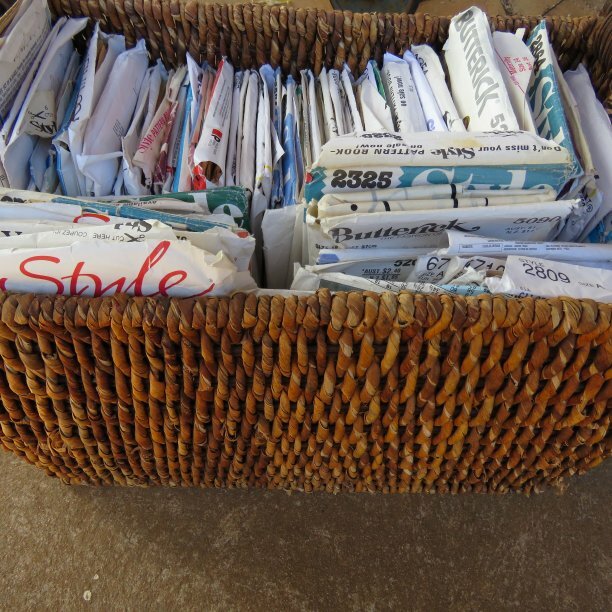 This coincides with department stores closing their fabric departments. 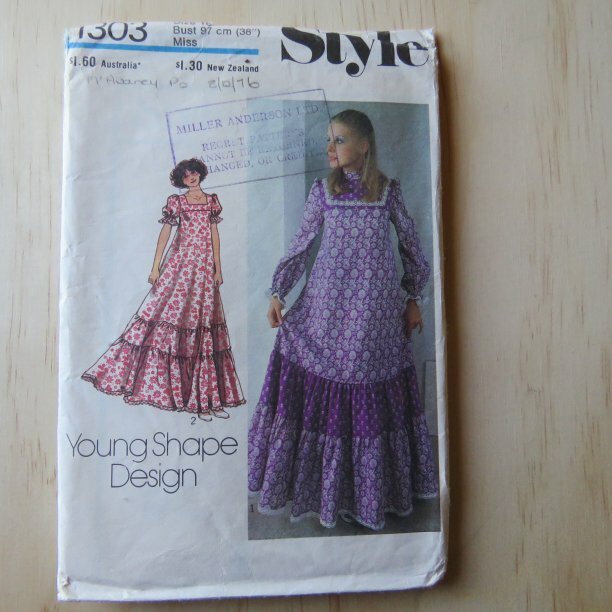 Adelaide readers might remember Miller Anderson in Hindley St (closed in 1988), where Carol bought lots of her patterns. 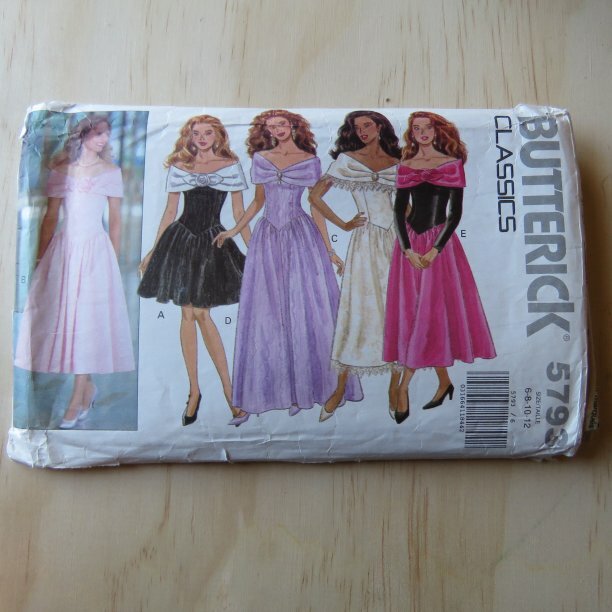 Late 1980’s: Carol is sewing prom dresses! Does anyone remember these? 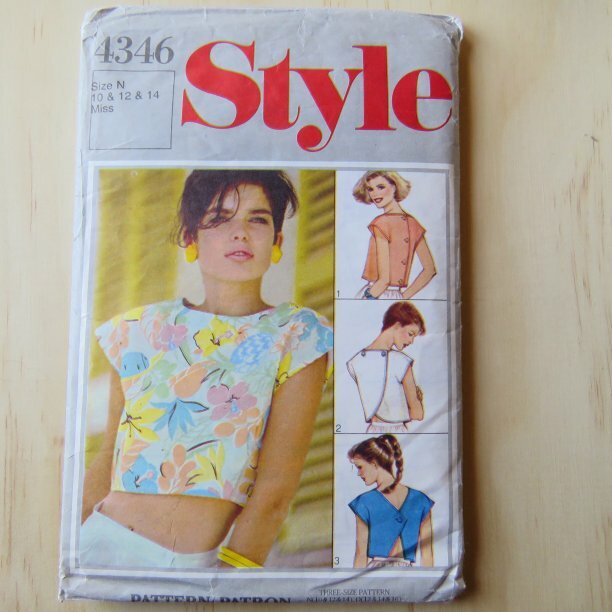 There are fewer patterns for the late 80’s/early90’s. 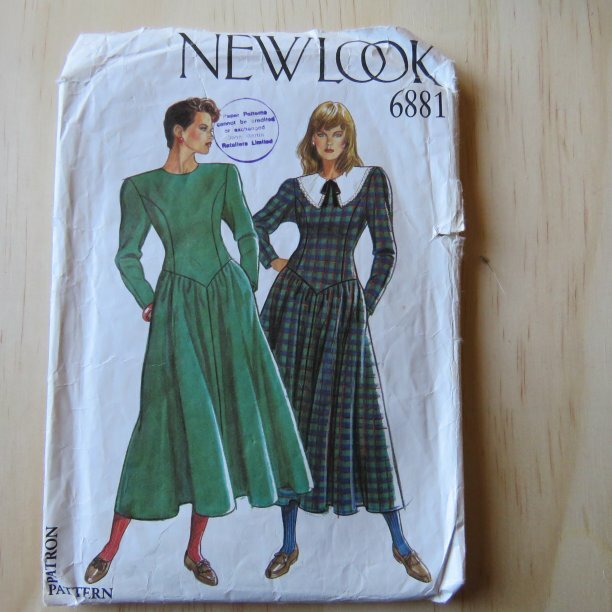 I recall this first one was a very popular look. And, finally, a bit of mid-90’s grunge. 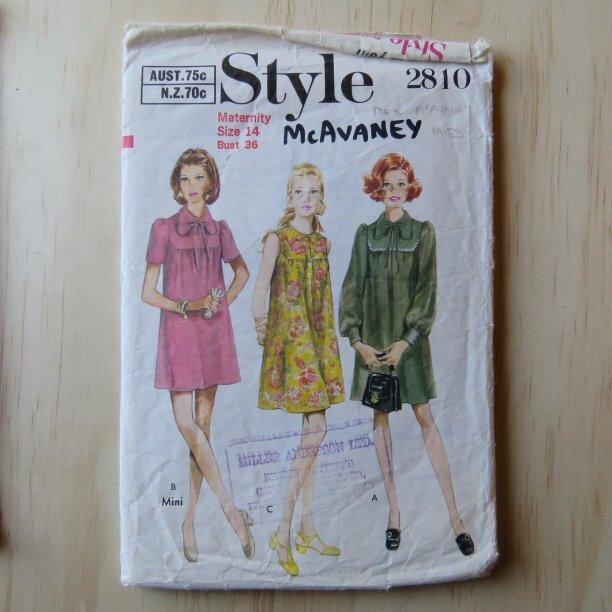 I’ll admit I got misty-eyed looking through these, a capsule of one woman’s sewing life. 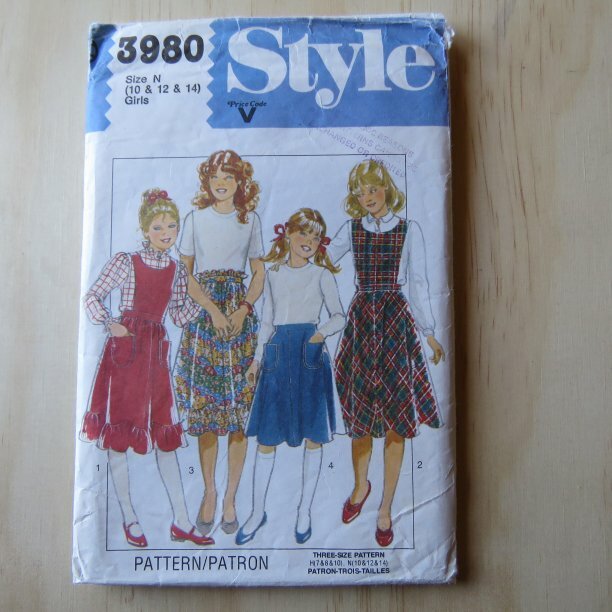 Carol’s patterns have now gone to good homes belonging to women who love making their own clothes. 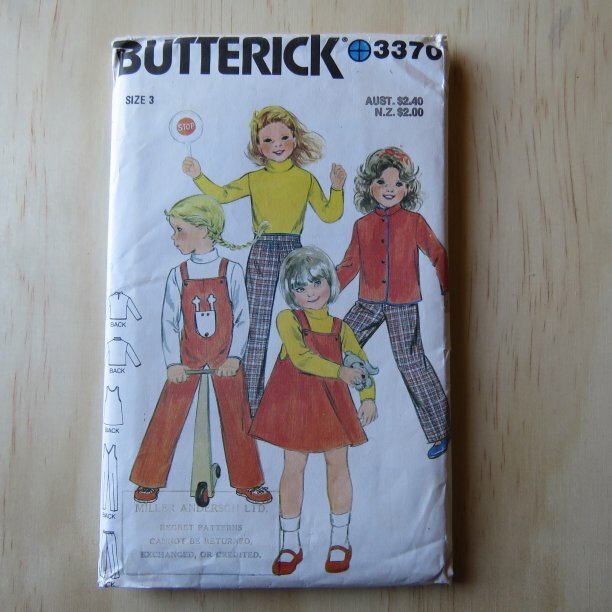 This brought up memories of my own childhood; of Halloween costumes, proms and school clothes. 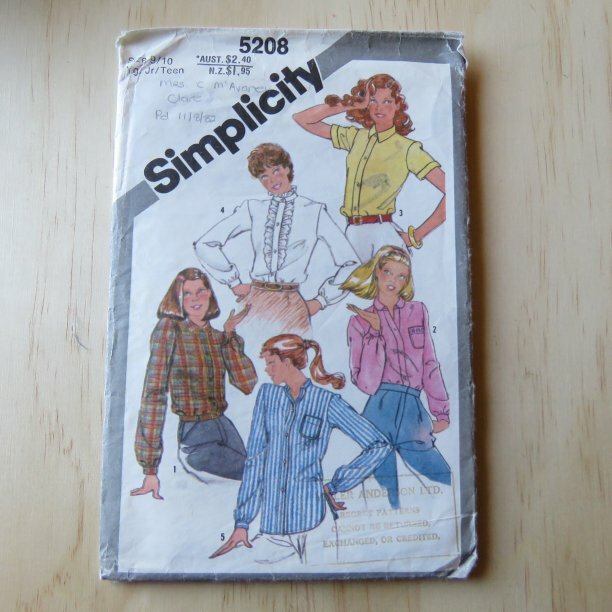 I wish pattern companies would bring back some of those patterns! 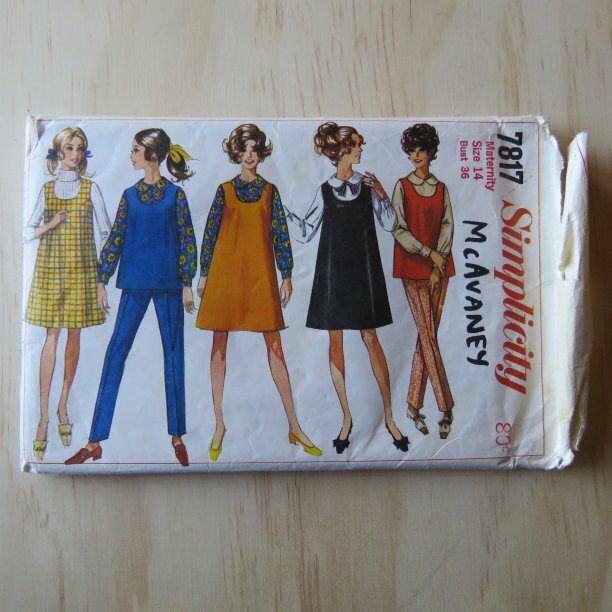 It brought up clothes memories for me too. I hope yours were good ones! 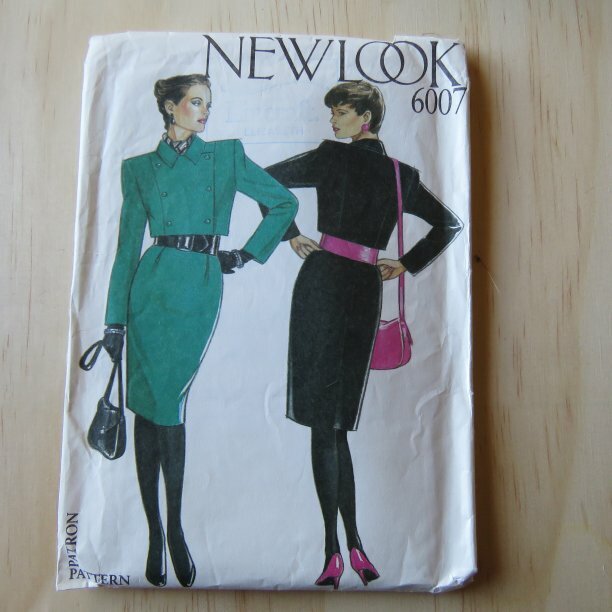 I certainly recognise some of those patterns – I remember how I loved those New Look clothes with the big shoulder pads! 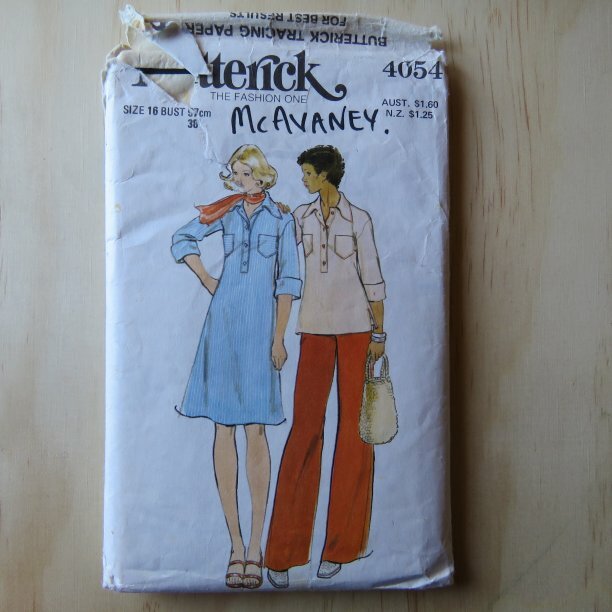 I have three large cartons of old patterns in my shed. 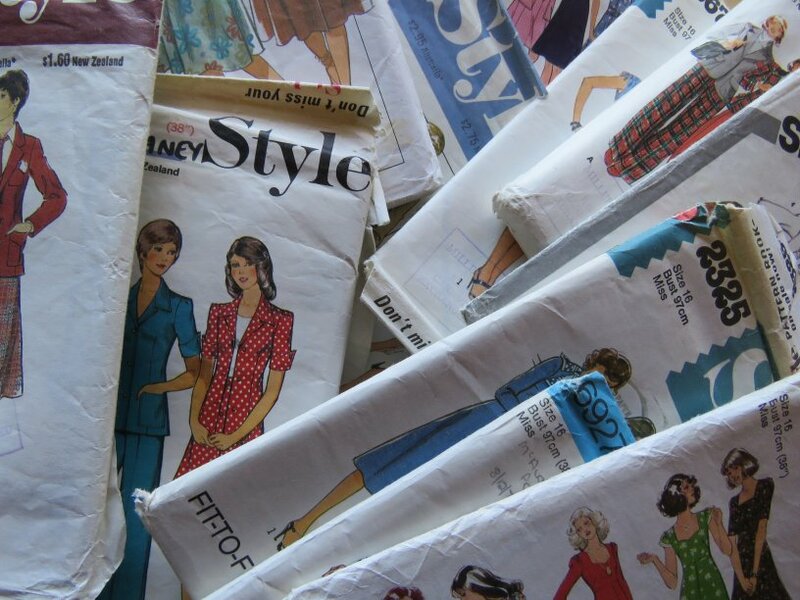 I have occasionally looked at them realising that I will never remake those clothes – but to get rid of them would be like disposing of old photo albums! 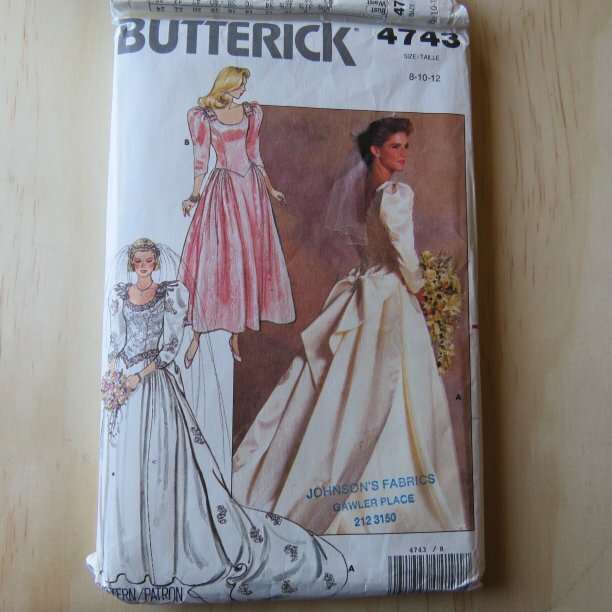 Do you want any old patterns Liz?? Three boxes! I will go through them with you. Thank you so much for sharing Liz (and thanks to Carols husband for sharing with you). 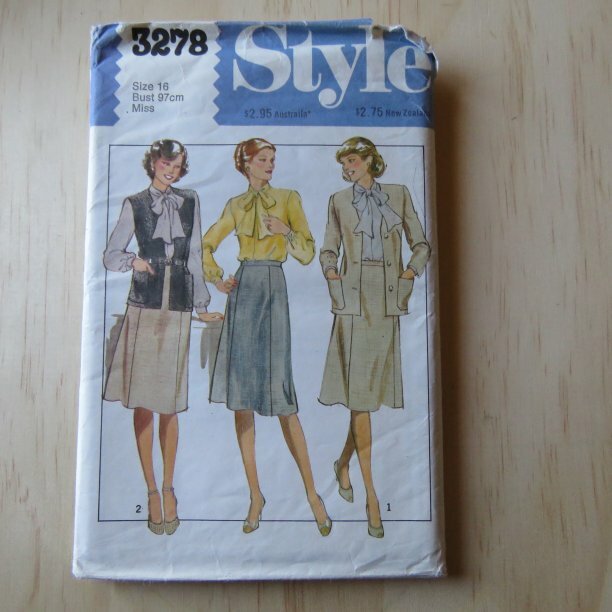 I wonder if Carol is about my mums age as these patterns reflect the styles of the ones my mum would have made for me. 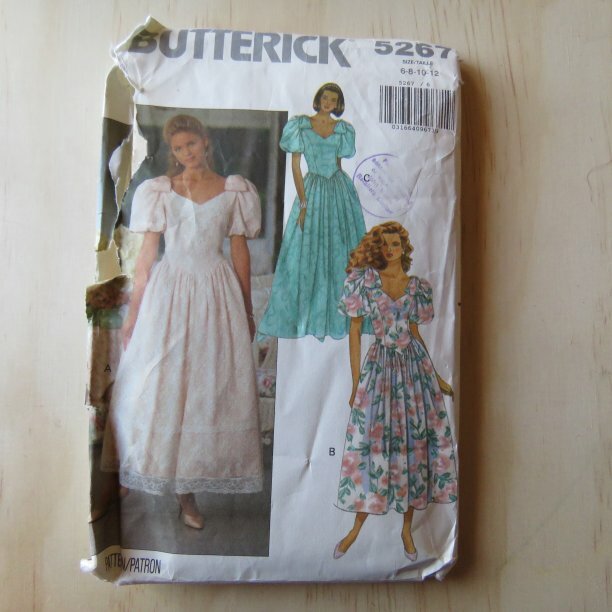 I love looking at vintage patterns too. It definitely makes my think of my childhood pouring over what Mum should make next. 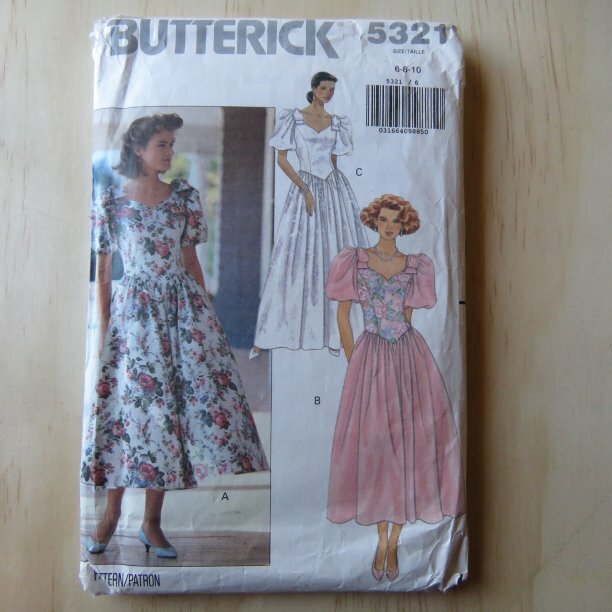 Now I make my own clothes and love searching the second hand shops for old patterns. Cheers, Vanessa, glad you enjoyed looking at them too. Hi Liz. 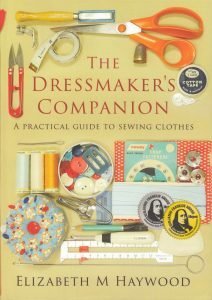 Thank you for your tribute to Carol’s sewing history – yes I felt sad and a little bit of happiness. 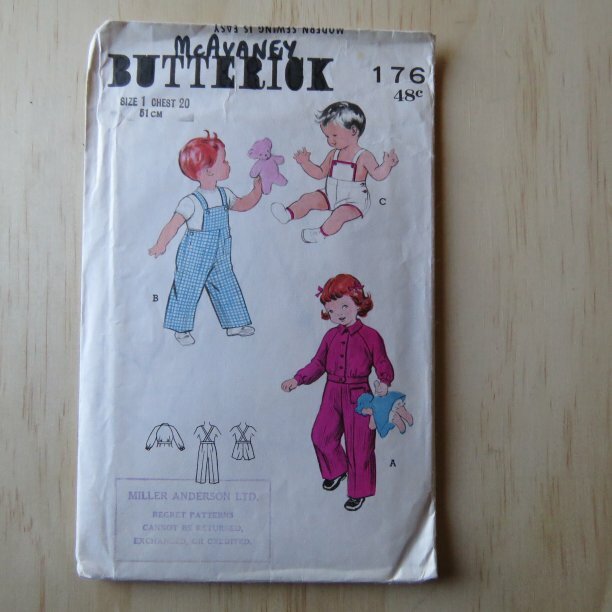 It reminded me of lots of good stories in Carol’s world of sewing. To Vanessa, Carol was sixty seven when she passed away just a short time ago. To all of the sewers out there always give your loved ones a extra bit of loving. Tomorrow is not a given.To Liz it was nice to meet you and hubby. Kind regards Mike. Happy sewing. 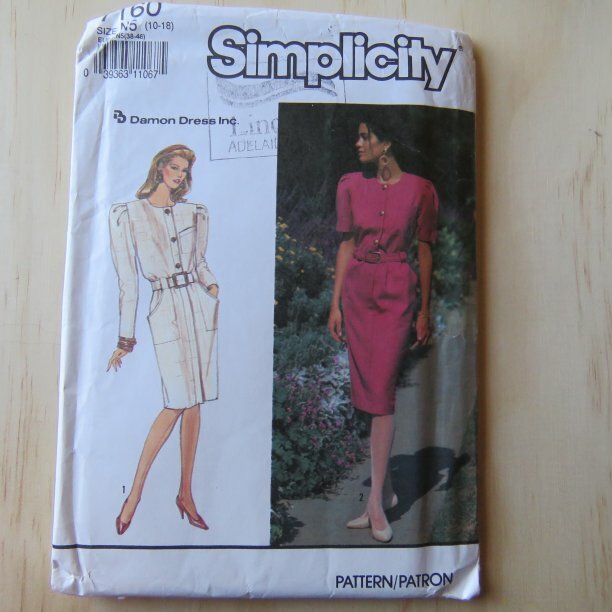 Haha, I too find it impossible to part with patterns, maybe as you say, it’s like giving up on the possibilities. Yes, Carol’s husband is a lovely man, doing it tough at the moment.